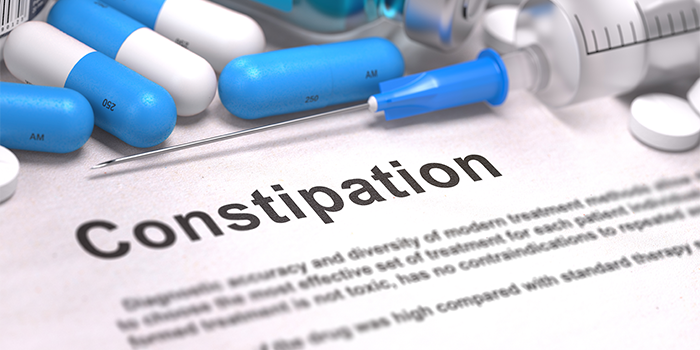 The FDA has approved Relistor tablets (methylnaltrexone bromide) for the treatment of opioid-induced constipation (OIC) in adults with chronic non-cancer pain. 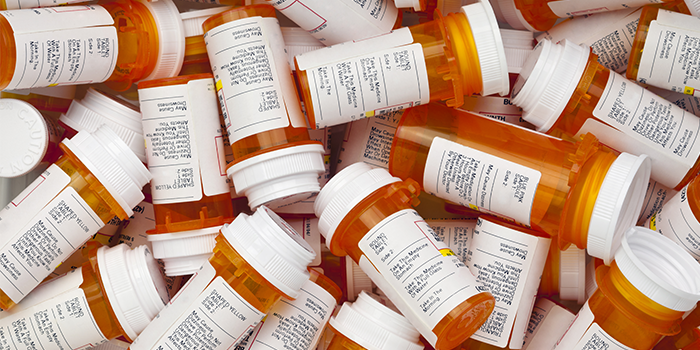 A common side effect of opioids - drugs commonly used in workers' comp for the treatment of pain - OIC is the reduction in the gastrointestinal tract's motility, making bowel movements difficult, and requiring medical treatment for the injured worker. Relistor was originally approved in 2008 as a subcutaneous injection for the treatment of OIC in patients receiving palliative care, but it was later approved for OIC in adults with chronic non-cancer pain in 2014. The new Relistor tablets (450 mg once daily) are expected to hit the market in the third quarter of 2016. 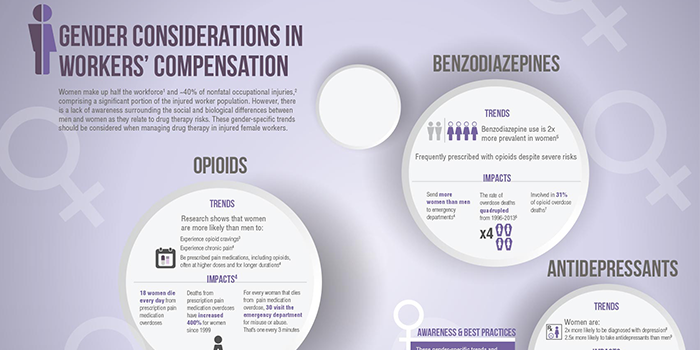 As part of a larger initiative to shine light on population-specific concerns in workers' comp, Healthesystems recently published Gender Considerations in Workers' Comp, an infographic that debuted in the June/July issue of WC Magazine. Did you know that women are more likely to experience chronic pain, and that overdose deaths from prescription pain medications have increased 400% for women over the last 15 years? WCRI recently released eight statewide studies on the impacts of physician dispensing reforms. Overall, fewer prescriptions have been dispensed by physicians, and in a majority of those states many of the top ten physician-dispensed drugs per state were prescribed less often and at lower costs. 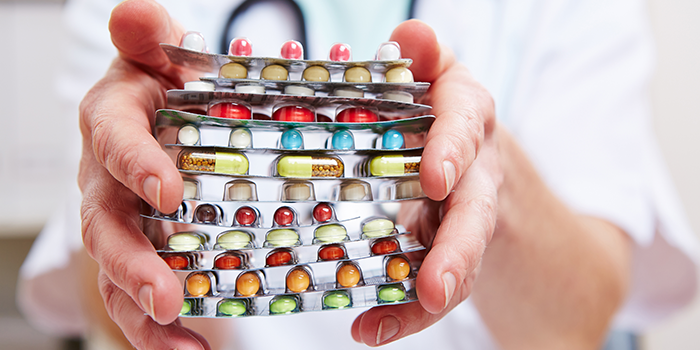 However, certain drugs are being prescribed in new strengths for higher costs. Cyclobenzaprine HCL 7.5 milligram, tramadol HCL extended release 150mg and hydrocodone acetaminophen at 2.5-325-milligram were all previously prescribed at a 0% rate in the study states prior to statewide reforms, but they have since been prescribed at higher levels for increased prices when compared to their traditional strength levels. 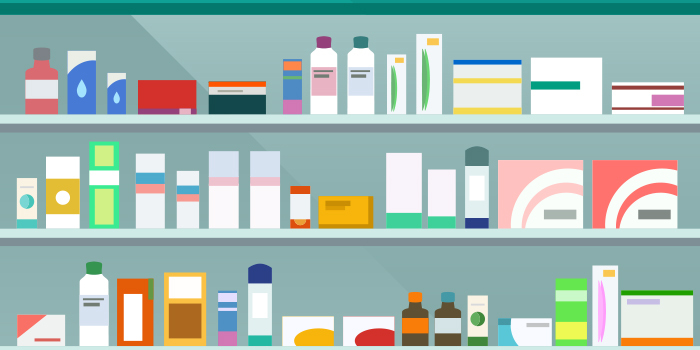 Many states have also noted that physicians are increasingly dispensing commonly available over-the-counter drugs at higher prices, such as acetaminophen (Tylenol®) ibuprofen (Advil®), omeprazole (Prilosec®), and ranitidine (Zantac®). The reforms did initially lower spending on physician-dispensed medications, but those savings were later offset with these new cost drivers. Payers and PBMs must implement protocols to address how the market responds to new regulations aimed at controlling costs, and act accordingly. New York recently passed A10727 into law, limiting initial opioid prescriptions for acute pain to a seven-day supply, limiting further prescriptions to a 30-day supply, joining many other states that have enacted similar laws. Massachusetts first implemented a seven-day limit with H.B. 4056, and one month later Maine passed L.D. 1646, which will limit acute pain prescriptions to seven days. Connecticut passed Substitute House Bill No. 5053 in late May, enacting another seven-day prescription limit. Other states have passed de facto prescription limits, like Virginia H.B. 293, which requires prescribers to check the state Prescription Drug Monitoring Program (PDMP) before writing opioid prescriptions longer than 14-days, incentivizing shorter prescriptions. Maryland H.B. 437 also requires mandatory PDMP queries and reviews for all opioids and benzodiazepines, as well as medical record documentation, but one of many exceptions includes prescriptions for three days or less. Other states have proposed similar laws to limit opioid prescriptions, including Alaska, Delaware, Rhode Island, and New Jersey. These bills are at various levels of development and deliberation. Healthesystems will continue to monitor state legislation. A tube of Voltaren® Gel, a commonly prescribed topical nonsteroidal anti-inflammatory drug (NSAID), will typically cost a payer $60. But when it is packaged with antibacterial wipes, available for roughly $16, the price of the convenience pack jumps up to $500. 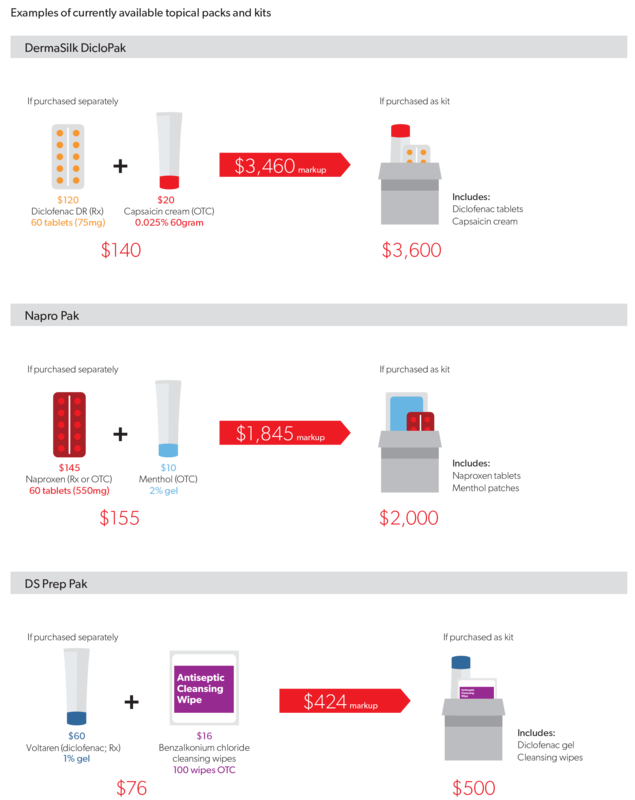 This is one of many examples of a convenience pack, the bundling of two or more products - often available over-the-counter or by prescription - at a significantly increased cost. There are a countless number of packs and kits currently pushed across market, and several more become available weekly. They are popping up more and more in workers' comp claims, primarily with topical analgesics. Common combinations are a cream or lotion paired with an oral agent or wipes. As convenience packs and kits offer no clinical benefit, claims professionals are advised to investigate any packs or kits they may encounter.